Established in the year 2011, “Maheshwari Hoteliers Pvt Ltd”is positioned as a reliable wholesaler, supplier, retailer, packager, distributor and trader of an extensive assortment of Instant Coffee and Coffee Beans. Our range includes Instant Coffee Powder/Granules, Green Coffee Beans, Robusta Beans, Arabica Beans, Roasted Coffee Beans, Filter Coffee Powder, Soluble Coffee Powder etc. 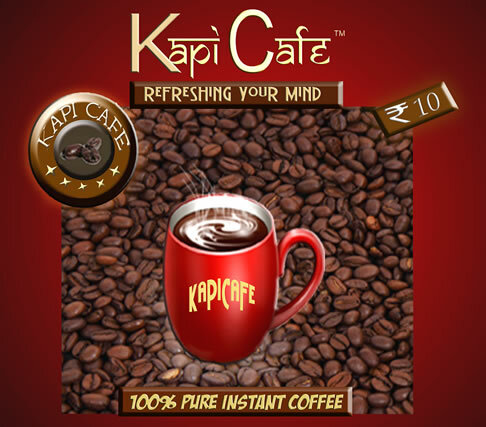 Our range of coffee products are highly appreciated for its quality, aroma and freshness. It is widely demanded in hotels, cafeterias, offices and restaurants. We are blessed to have the support of a proficient team of professionals, which holds great experience and expertise in their respective field. Our state-of-the-art infrastructure also aids in carrying out all the business operations in a hassle free and organized manner. It is installed with all the latest equipment and sophisticated processing techniques, which makes the entire process cost effective. We also house a spacious warehouse unit that fosters safe and systematic storage of our entire range. Samples of our product are also offered free of cost. Our professionals are capable of undertaking bulk orders and meeting them within the promised time period. Our organization has earned immense success within a short span owing to our qualitative products and client centric approaches. We have been able to build a vast customer base across the Indian subcontinent, especially in Central Indian markets .